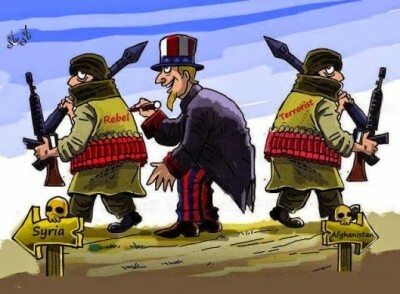 CIA Rebrands ‘Moderate’ Rebels: Now They’re the ‘Syrian Democratic Forces’! “The Syrian Democratic Forces calls itself a unified national military, aimed at establishing a new democratic Syria. Members include Kurds, Arabs and Assyrian Christians. But those familiar with the group say it’s led by the Kurdish YPG, the only partner the U.S. trusts. The U.S. says it will provide its Democratic Forces with air support — even though it’s a clear violation of international law to conduct air strikes in a country that doesn’t want you there. Saudi Arabia and the U.S. have already made it clear that they will continue flooding Syria with weapons. Meet the new moderates, same as the old moderates.